We are named as a famed Two Color Automatic Rotary System Plastic Long Boots Injection Molding Machine (R-122) Manufacturer, Exporter, and Supplier in Taiwan (Taichung). 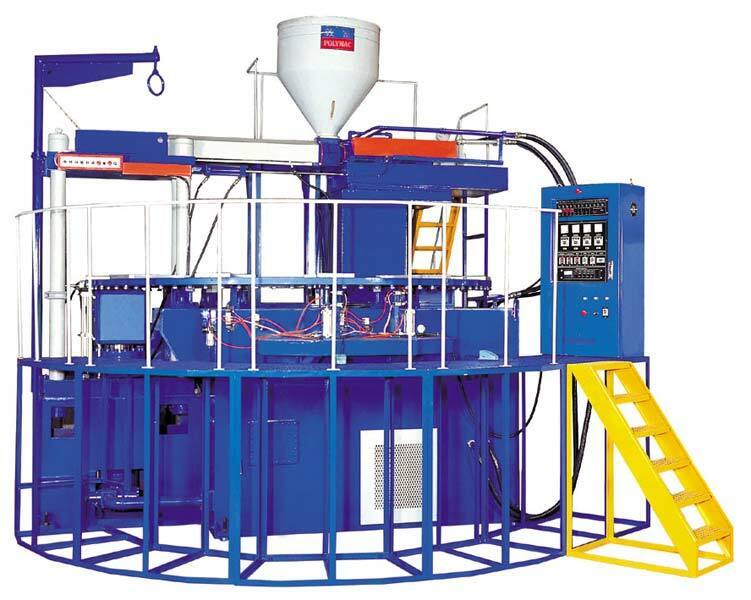 Having automatic rotary system, the Automatic Rotary System Plastic Long Boots Injection Molding Machine is suitable for making single and double color foaming or non-foaming PVC boots for gents, ladies, and children. Screw stroke and screw driving is controlled by hydraulic motor. Injection System is controlled by two steps pressure. Moveable injection unit controlled by hydraulic sustem, easy for screw cleaning. Rotary table is driven by hydraulic motor in two speed controlling, stable and efficient. Fully automatic operation, no specialist required. Separate heating and control circuits for 4 zones on the screw cylinder. Keep the material melting well. Fully automatic material feeding controlling system and capable for selecting the exact mould operating. Material feeding controlled by back pressure valve, easy in adjusting material density. Mould clamping system controlled by pressure switch. There are powerful mould clamping force for shaping perfect products. Auxiliary pneumatic type for disengaging products, easy to pick products from mould. Safety reversing switch for all machine operation.